Maputo City has a huge range of accommodation options, from 5 star hotels, to comfortable B&Bs. Here we feature the best accommodation Maputo has to offer. With sweeping views of Maputo City and the bay Cardoso Hotel has long stood as one of Maputo's most important hotels highly sought after by both business travellers and leisure tourists. Located in the centre of the trendy Museu area of the city many of Maputo's highlights are close by. The classic foyer is a thriving meeting place where many business deals have been struck whilst the generous green grounds highlighted by the refreshing pool and aforementioned sweeping views the bay and of Maputo's new stunning bridge that at night is lit-up as a backdrop to the thriving city. Cardoso Hotel offers classic comfort in spacious rooms and one of the city's most sought after restaurants. The hotel is also a hub for conferences and other large events. Hotel 2001 offers true Mozambican hospitality. 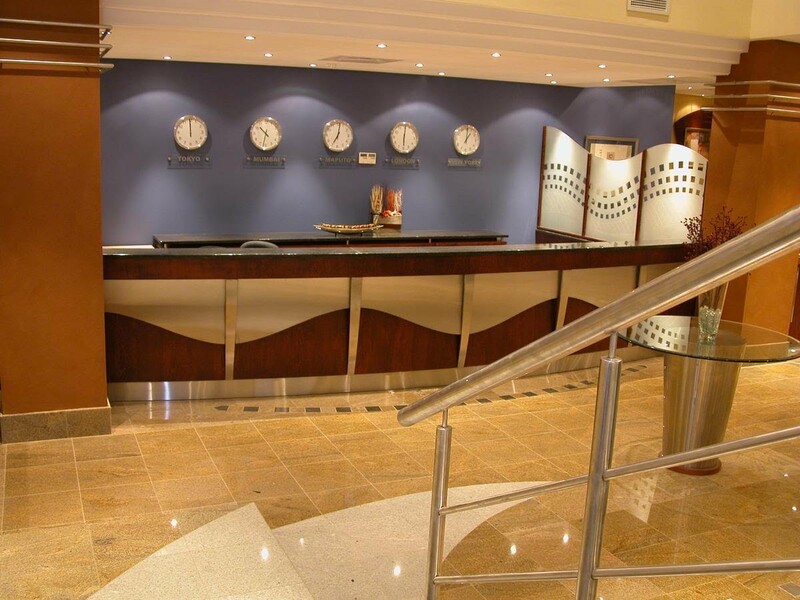 Situated near the famous Maputo Train Station the hotel is in the city's business district and close to many of the best tourist attractions. and of course the rooms are serviced daily. You will find that Hotel 2001 has all the comfort you look for when travelling including a fantastic buffet breakfast. Take advantage of a hotel that offers real comfort at a great price, in the middle of the business and tourist highlights of Maputo. Described by many of our guests as an oasis in the middle of the hussle and bustle of busy Maputo, Mozaika Guest House features lush green gardens, a refreshing pool, and a laid back character the will make you feel instantly at home and relaxed. Unlike many B&Bs in Maputo we are able to offer 24h secure parking for your vehicle bringing you increased peace of mind whilst you relax by the pool, enjoy our private bar, or just read a book in a shadowed hammock. Palmeiras Guesthouse offers excellent B&B accommodation in Maputo. Our guesthouse is tastefully furnished in this charming house with affordable rates without sacrificing quality. Located on Av. Patrice Lumumba, in the heart of the city of Maputo, we offer personalised attention, familiar surroundings, and a hearty welcome. Close to most of the main bus stops for buses coming from Johanessburg, we are also conveniently close to restaurants, shops, cultural centres, and historical sites. You will not find many guesthouses in Maputo that are furnished with our warm homely style. This creates an ambience that will ensure relaxation and comfort during your visit in this hectic city. Our B&B affords rare luxury hard to find in Maputo, including a fridge stocked with drinks, yogurts and chocolates available for purchase, a small selection of spirits available in the Garden Lounge, a Guest Lounge with books and magazines, and access to wireless internet. Book early to avoid disappointment! Hotel Royal is situated on Maputo's famous Av. 24 de Julho, a few blocks walk from the city's most famous tourist attractions. We offer budget accommodation but with all the amenities you will require. All our rooms have private bathroom, air-conditioning, telephone, and television. Our rates are amongst the most competitive in Maputo with a double room costing less than $100 and includes breakfast. We also have the capacity to increase beds in our rooms to allow for three people in a room. Pensão Marhaba Residencial is a hidden gem in the centre of Maputo. We are situated only metres from one of Maputo's most important avenues, Av. Vladimir Lenine, between major avenues 24 de Julho, and Eduardo Mondlane. Our rooms feature AC, television, private bathrooms, desks, and free wireless internet. If you are looking for comfortable accommodation in the centre of Maputo that is also quiet and impeccably clean, you will love Marhaba, Maputo's hidden gem. Hotel Continental is Maputo's favourite budget hotel. There is simply no other option in Maputo that matches great central location, modern comfortable rooms, and an unbeatable rate. 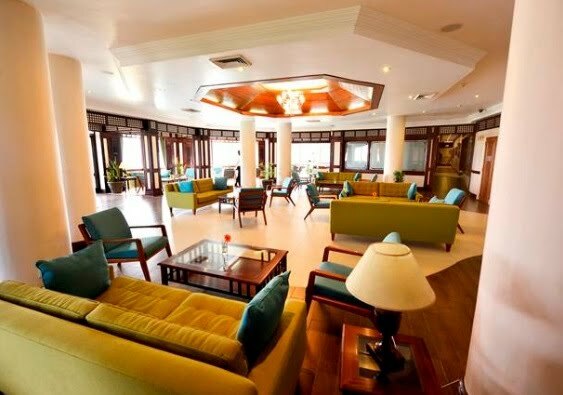 The hotel opened midway through 2013 and attracts both business and leisure travellers. For business travellers most of Maputo's business district is within a short walking distance. For people interested in tourism in Maputo most of the historic locations can be reached within five or ten minutes. The famous CFM train station only a couple of hundred metres away. This modern hotel has private bathrooms, AC, modern televisions, and Wifi available in the restaurant and reception area. This hotel is aimed at the business sector and is conveniently located between the JAT buildings and the rest of the "Baixa" on other.